The Australian cooking revolution has taken almost everyone by surprise, and chefs are returning to the home kitchen in search of inspiration. 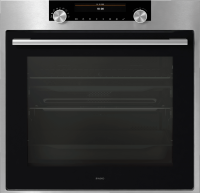 Contemporary oven advantages include dramatically increased culinary potential, tastier meals and programmable cleaning modes, such as the ASKO Aqua Clean system that allows you to put your feet up while the oven cleans itself. What are the benefits of aqua clean ovens? Are aqua clean ovens self-cleaning? The Aqua Clean function is simple to use. When cooking is done, and the oven has cooled, simply select the Aqua Clean symbol on the control unit and press start. Targeted and powerful jets of steam soften and break down food residues and stuck-on grime, and once the cycle is complete, all you need to do is wipe the oven interior dry. 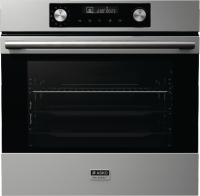 Your ASKO oven can perform with commercial oven capability while always looking showroom fresh. What sized oven should I choose? ASKO ovens are available in various sizes to match contemporary Australian kitchen design. Your oven can be built-in or fully integrated to match cabinetry, creating seamless kitchen appeal and no place for crumbs, scraps or spills to hide. 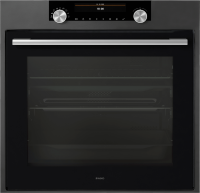 ASKO 60cm Aqua Clean Ovens include Pro Series Ovens and Craft Ovens, and are ideal in kitchens of all sizes where good food remains a priority. Integrated kitchens fitted with intelligent appliances will dramatically increase cooking potential and improve results for everyone to appreciate. Compatible ASKO appliances include ovens, cooktops, wok burners, rangehoods, warming drawers, dishwashers and more, all designed to work together for a harmonious kitchen experience. What other features do aqua clean ovens include? What meals can you cook in an aqua clean oven? ASKO Aqua Clean Ovens offer a multifunctional approach to meal preparation. From grilling toast to baking the perfect apple pie, Aqua Clean Ovens can do it all. Precise heat control facilitates defrosting, reheating and even plate warming, and when intense heat is required for multi-phase cooking or the auto roast mode, your ASKO oven is up to the task. 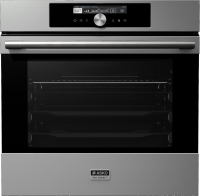 ASKO oven manufacture includes single piece components and the use of highest quality stainless-steel wherever possible. Aqua Clean Ovens are built to last for decades using fully recyclable materials, ensuring long-term environmental sustainability. ASKO innovators develop appliances that perform multiple tasks for energy-efficient cooking and superior results every time. If you are upgrading your kitchen, or commencing an exciting new build, take time out to investigate the many ways ASKO appliances can transform your home and encourage a new generation of masterchefs.